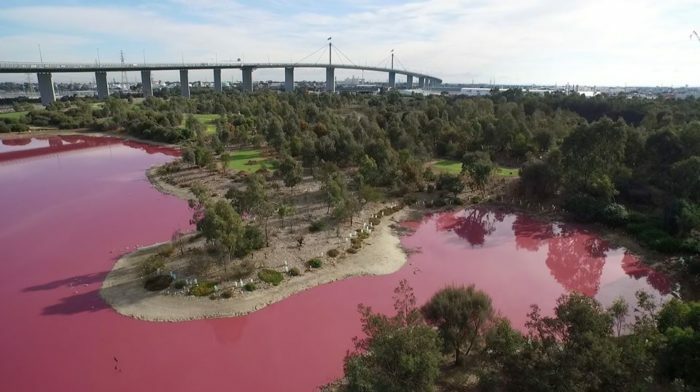 The salt lake in Melbourne’s Westgate Park has turned pink, a natural phenomenon that has occurred before in response to very high salt levels, high temperatures, sunlight and lack of rainfall. 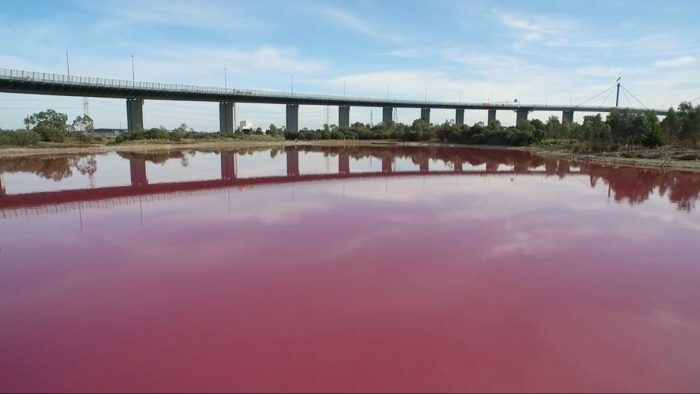 Algae growing in the salt crust at the bottom of the lake produces the red pigment (beta carotene) as part of its photosynthesis process and in response to the extremely high salt levels. 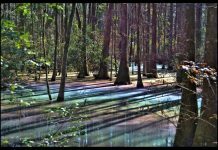 The group warned visitors not to drink or touch the pink water. 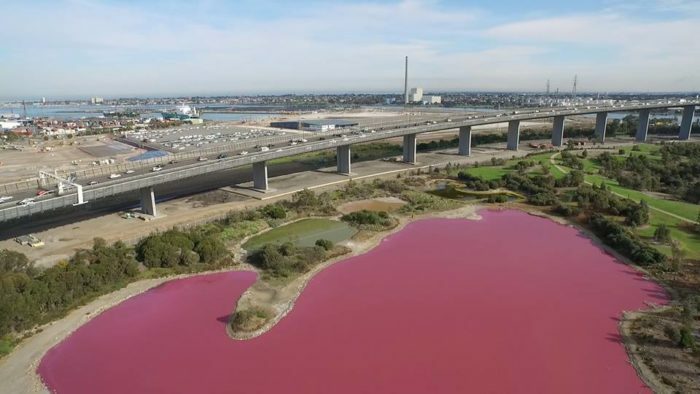 Enjoy the views, but we recommend you don’t come into contact with the pink water. The lake is expected to return to its normal color towards winter, when the weather cools and rainfall increases. There are other pink lakes around the world… And even pink beaches!